Trash-talking is a lost art. Throughout the history of sport, there have been many talkers but only a few masters. Guys do it to gain a mental edge or just for shits and giggles. They talk about your mother, your girl, your mama's mama, your kids, and, of course, you. Speaking of which, today is Muhammad Ali's 71st birthday. The Greatest of All Time was a poet when it came to promoting fights and psyching out his challengers. Ali would often win fights before he ever stepped in the ring. He inspired a generation to take their trash-talking serious. Other guys that you might find on this list are Chad Johnson, Kevin Garnett, Gary Payton, and Shannon Sharpe, among others. 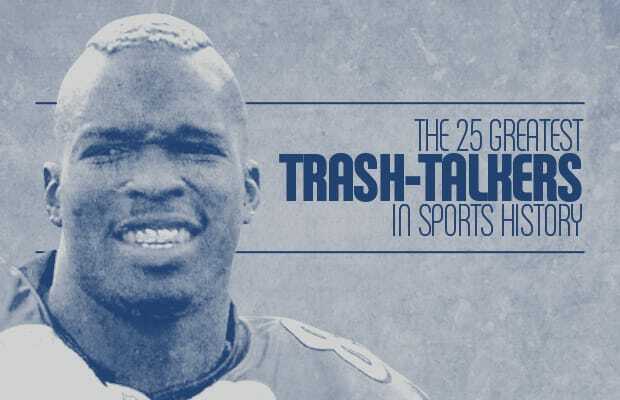 Check the rest of the 25 Greatest Trash-Talkers in Sports History.